Good-looking coupe that's a rare sight compared to rivals like the Audi A5. Strong performance from 3.0-litre which also has four-wheel drive. Interior feels dated and not up to scratch for a supposedly premium car. Steering is artificial and over-assisted. Still has a foot-operated parking brake. No hybrid or diesel version. If you want a sleek looking premium coupe, but fancy something a bit different, then how about this? The Infiniti Q60 is the more leftfield choice in a market that's dominated by the likes of the BMW 4 Series and the Audi A5. The Q60 is one of Infiniti's better looking models, although compared to the angular Lexus RC, it does seem a little bland. However, sadly the inside doesn't live up the outside. 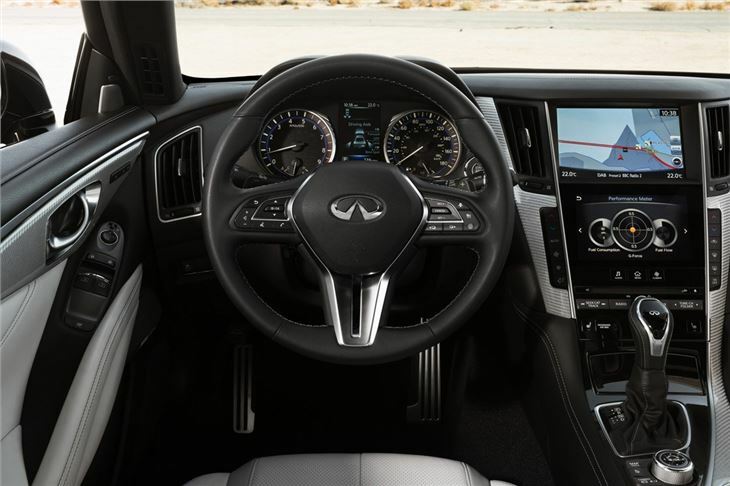 While Infiniti has attempted to improve things, the interior feels dated and a generation behind the competition. 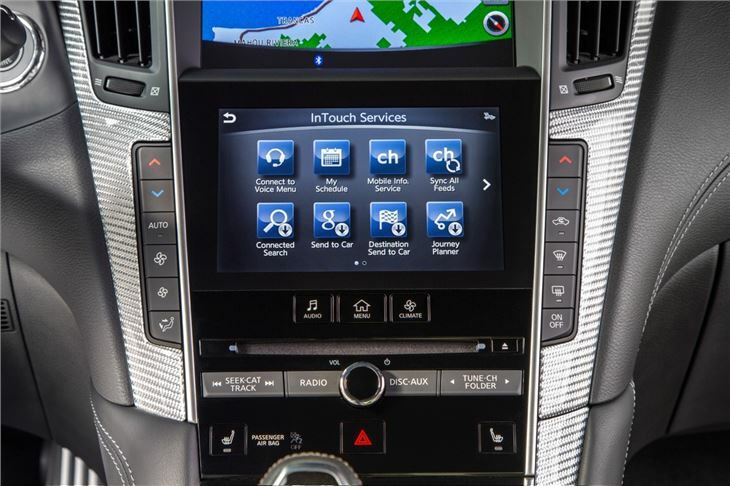 The switches and steering column stalks that are shared with cheaper Nissan models don't help. On the plus side, the Q60 does come well equipped for the money. It starts at around £34,000 and for that you get plenty of kit like LED headlights, a rearview camera, heated and electric seats and navigation. 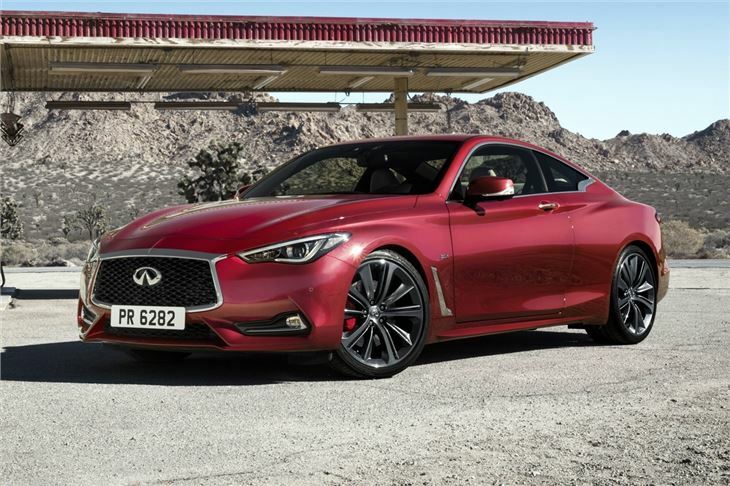 What you don't get with a Q60 is a diesel. Nor a hybrid. 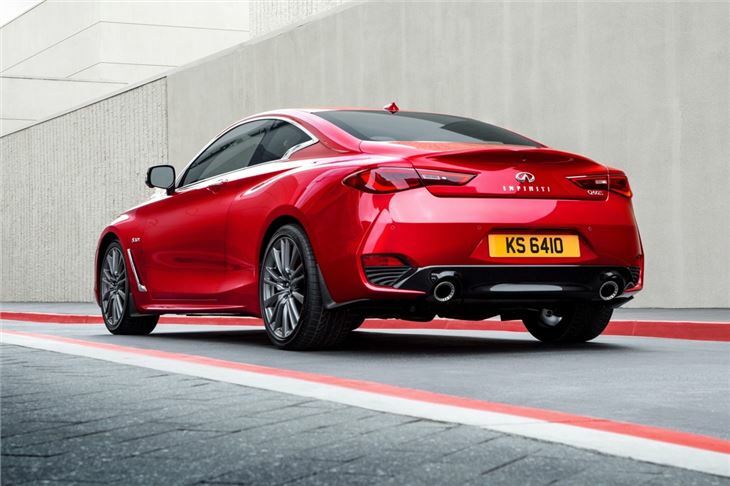 Instead there are just two petrol engines - a 2.0-litre with 211PS and a 3.0-litre V6 with an impressive 405PS, both of which have a seven-speed automatic as standard. Neither is great on fuel, the 2.0-litre averages a claimed 41.5mpg but you'll be looking at the low 30s in reality. 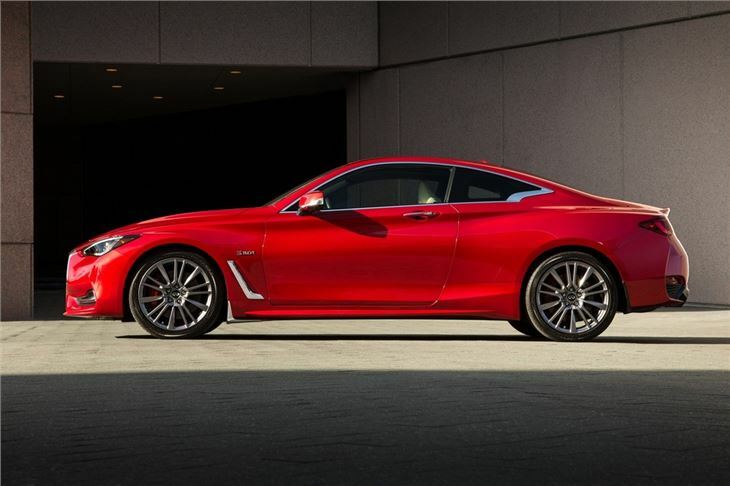 Despite the power from the big V6 engine, the Q60 is no sports car. It handles well enough, despite steering that feels very artificial, but the gearbox can be slow to respond and there's little in the way of character. There's also minimal involvement from behind the wheel. 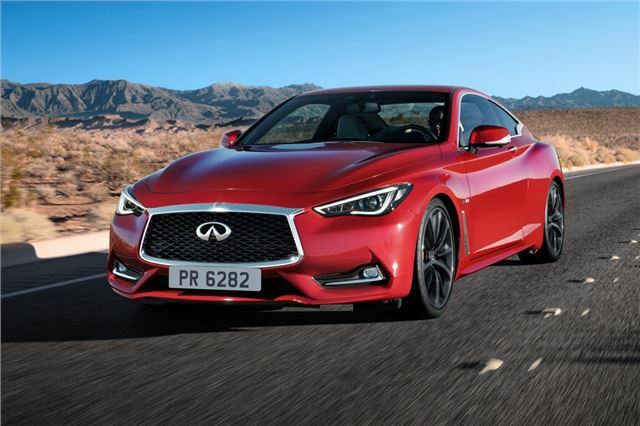 Overall, the Q60 isn't a bad car. Indeed on paper it looks good value given the standard equipment available. Plus being built by Nissan, it's likely to prove reliable and robust. But there really is nothing compelling about it - and judged against the competition it feels behind the times. 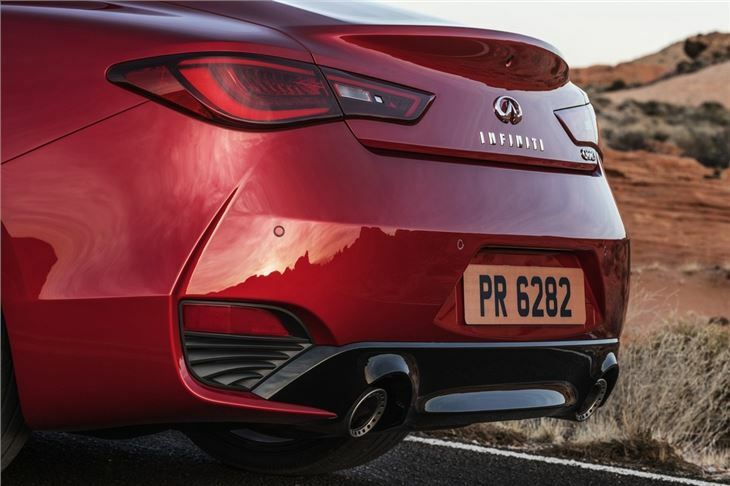 Ultimately, it's hard to make a case for the Infiniti.